Cynthia Rosenzweig is a Senior Research Scientist at the NASA Goddard Institute for Space Studies, where she heads the Climate Impacts Group. She is Co-Chair of the New York City Panel on Climate Change, a body of experts convened by the mayor to advise the city on adaptation for its critical infrastructure. She co-led the Metropolitan East Coast Regional Assessment of the U.S. National Assessment of the Potential Consequences of Climate Variability and Change, sponsored by the U.S. Global Change Research Program. She was a Coordinating Lead Author of the IPCC Working Group II Fourth Assessment Report. 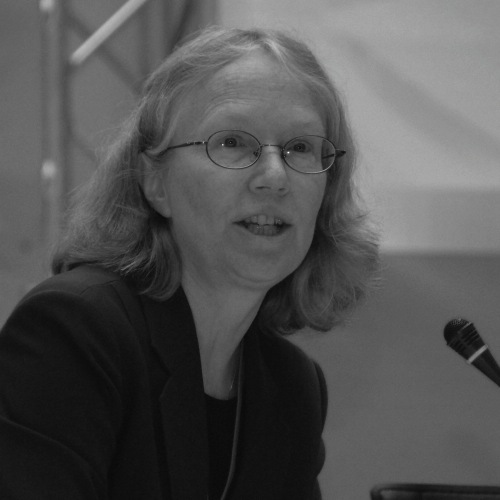 She is Co-Director of the Urban Climate Change Research Network (UCCRN) and Co-Editor of the First UCCRN Assessment Report on Climate Change and Cities (ARC3), the first-ever global, interdisciplinary, cross-regional, science-based assessment to address climate risks, adaptation, mitigation, and policy mechanisms relevant to cities. She is the founder of AgMIP, a major international collaborative effort to assess the state of global agricultural modeling, understand climate impacts on the agricultural sector, and enhance adaptation capacity, as it pertains to food security, in developing and developed countries. She was named as one of “Nature’s 10: Ten People Who Mattered in 2012” by the science journal Nature. A recipient of a Guggenheim Fellowship, she joins impact models with climate models to project future outcomes of both land-based and urban systems under altered climate conditions. She is a Professor at Barnard College and a Senior Research Scientist at the Earth Institute at Columbia University.